Yantra is special geometric structure. It is used to made special figure, sign and number. Yantra who has symbols, lines and points they are very powerful. There construction and use is difficult. Yantra who has points, they are normally powerful. Their structure and use are very simple. There is a different yantra for everyone. One type of yantra cannot be used for everyone. Yantra should be used in special conditions and with caution. Yantra is made by mixing words and mantra. It is formed in figures. These figures are special. They are made in special constellation. 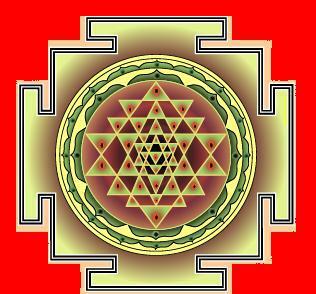 Yantra is made to collect energy of the space. Once figure is made then words entered. It is used in special constellation. Yantra absorbs energy from the atmosphere and space. Yantra works very fast. Therefore, one gets its benefit and side effects instantly. If the yantra is made properly then it makes planets favorable. However, improper yantra creates problem in life. The procedure of making yantra would be secret. Therefore, it is difficult to find right yantra. One should avoid using yantra which are made of figures. One wrong point in yantra creates problem in life. One should use yantra by consulting scholars. Avoid using yantra, which is made of figures. Use yantra, which is made of numbers. Use handmade yantra instead of readymade yantra. You can wear yantra in throat. You can keep at your work place. Never wear yantra below the waist. You should take blessings from great men before using yantra.